We’re closer than it feels like we should be to 2019, so it’s time to start getting ready. What digital marketing trends will rule next year? Did you know content marketing is the most effective technique used by marketers? After all, more than 20% of digital marketers say it has the largest commercial impact. But will it stay the same as the new year approaches? However, blogging is only one aspect of digital marketing techniques and trends. You have to stay up to date with the digital marketing trends if you want to survive and continue earning. The most important thing to remember is it makes a big difference to your bottom line. Are you ready to learn new marketing trends for 2019? Read on and find out more. This is a strange trend to see in digital marketing, but appliances like Amazon Alexa, Google Home, and Apple HomePod caused a lot of attention to shift these past years. Consumers love these devices. Around 65% of owners say they can’t go back to their pre-voice assistant days anymore. It helps with digital marketing since a lot of online platforms are now embracing it. This means they’ll publish audio content exclusive for these gadgets. This will help in encouraging their audience to follow them on a daily basis. It’s expected for companies to put more ads on these devices. It’s driven by the desire to monetize their content, after all. It means companies like Google and Amazon will make their own advertising platforms. It’s already a fact that young people prefer watching shows online. For example, British teenagers spend an average of 4.8 hours on the internet. What’s more appalling is the fact that around 32% of people in this age bracket have no favorite TV shows. A lot of other studies support the fact that the internet will catch up to the television when it comes to the total hours watched. What this means is companies will start investing less on television ads and more on web videos and ads in 2019. Social media companies will continue striving to integrate their platforms into other applications. For example, you can sign up for services with the use of your Facebook account. This allows you to share your information in a seamless manner. The trend will continue as 2019 rolls in. Social platforms become more integrated into other services to ensure consistent user experience. This will allow social media companies to remain dominant while gaining information to give better services to users. Another marketing innovation is live video streaming features. There’s no doubt major platforms like Facebook, YouTube, and Instagram made a lot of buzz in the last three years. This equated to an 80% increase of users watching live videos. The rise of streaming services is unstoppable. Your business can still capitalize on it since the majority of people are more likely to attend events or buy tickets if they see a live stream of a similar event somewhere on the internet. Some users will pay to see their favorite celebrities on a live online stream. Traditional video ads will experience growth accelerations this upcoming year. A lot of studies conclude videos will make up around 85% of the total traffic online by 2019. You need to get on the bandwagon fast since most people in social media watch videos on a monthly basis already. A lot of marketers already have video marketing as part of their 2019 social media tactics. The simplest way to do this is to run video ads on platforms like YouTube and Instagram. Another way you can go about it is through an influencer for endorsements. This feature will have a massive overhaul by 2019. It’s so massive that even customers will see it as something normal. This makes the novelty fade, but it paves the way for a more practical and widespread usage. Next year, people will go to chatbots to do menial tasks like book hotel rooms or order products online. If you use this for your digital marketing strategy, remember that it gives convenience. It eliminates the hassle of having to download native apps. Stay ahead of the trends and start considering a chatbot for your brand. Their development becomes easier as we approach 2019. It can make a huge difference in whether you make quick sales or lose customers to competitors with more established chatbots. There is a plague of fake news flying about. If you’re a CEO or a top executive in your business, you need to start becoming more social. This helps a lot in boosting your company’s good reputation while building your customers’ trust. While only a few CEOs are active in social media, 2019 will change it. The marketing trends will dictate that users will become distrustful of CEOs who don’t socialize. After all, they need to hear news and clarifications from the brands’ authority figures. There are a lot of ways for your voice to reach your audience, even if you’re a top executive. Post more content in your company blog or use Twitter to post updates. This way, people will always know the truth and ignore the fake news. Invest in Digital Marketing Trends Today! Each year, our society moves to a more online direction. Having an online presence isn’t a luxury anymore – it’s a necessity. You need to stay on top of digital marketing trends all the time. 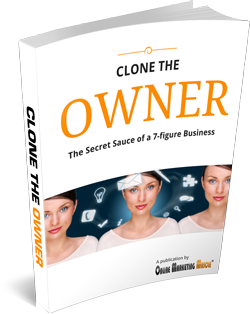 This allows you to gain a competitive edge over your business rivals. If you haven’t started yet, invest in these trends. This ensures you’re already established as 2019 rolls by. Always stay flexible and adapt to these changes to ensure you can compete on the constantly-changing digital marketing world. Do you need help with your digital marketing strategy? Contact us today and request a free consultation from our experts. We can help you grow your business with our marketing strategies.